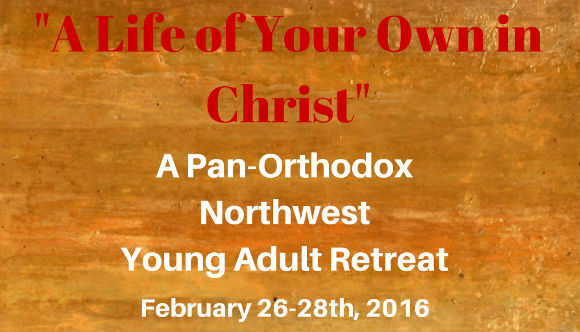 Holy Trinity Cathedral will be hosting a young adult (18+) retreat this Feb 26-28th at the Camp Angelos Retreat Center in Corbett, OR. Rev. Hieromonk James Corazza will be our retreat leader. Led by Rev. Hieromonk Fr. James Corazza. Rev. Hieromonk James (Corazza) is the Priest of the Old Cathedral of the Holy Virgin ‘Joy of All Who Sorrow’ in the Russian Orthodox Church Outside of Russia in San Francisco, California, which many may know as the church in which St. John Maximovitch served. Fr. James received his BA in Political Science at the University of California at Santa Cruz and subsequently entered the monastic life as a novice in 1982. Following his monastic tonsure in 1986 and ordination to the Holy Deaconate in 1994, he was ordained to the Holy Priesthood in June of 2004 by His Eminence Archbishop Kyrill of San Francisco and Western America. The over-arching theme of his talks will focus on “A Life of Your Own in Christ” from a variety of perspectives. Cost: $35 per person ($50 for a couple). All meals included. This entry was posted in retreats and tagged camp angelos, retreat, young adult. Bookmark the permalink.